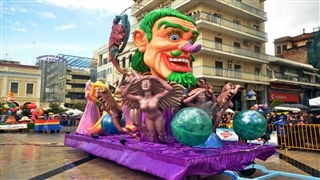 The Thessaloniki’s carnival festivities start in mid January and last till mid February (various dates). The carnival ends with the burning at the stake of the King of Carnival and a big parade of floats and costumed groups. 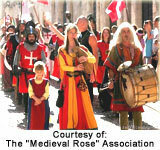 The festivals attracts mass of crowd, locals and tourist. The city hotels are fully booked hence it is recommended to make a room’s reservation in order to find a room in a reasonable price. 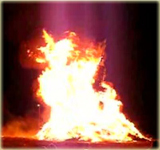 The carnival has two main events: The Tsiknopempti is celebrated in the second Thursday of the carnival. It is a meat eating event (The word Tsiknopempti is a combination of 2 words ‘tsikna’ = grilled meat and ‘Pempti’ = Thursday in Greek). Various activities of theater’s shows, concerts, shows for children and dance performances which represent different dancing styles from different areas, are part of this event. 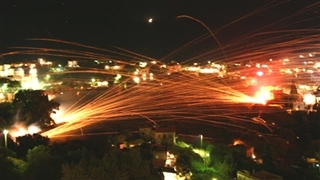 The most important event takes place in Neapolis in the municipal open theater with a group of shows. The shows begin in the morning and end at late night. 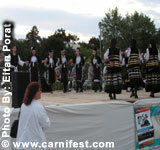 Dancing and singing shows take place and the celebrators can enjoy the traditional carnival food. 7, Tsoha (see map ).